Flat Out Friday, Mama Tried & Slippery Sunday are Here | Hupy and Abraham, S.C. The Mama Tried motorcycle show is just around the corner, along with vintage indoor flat-track racing and hopefully another round of stud-embedded tires gouging up the ice. Friday, Feb. 17: Flat Out Friday at BMO Harris Bradley Center, 1001 N. 4th Street, Milwaukee. 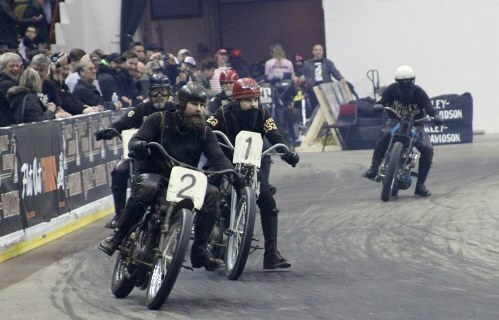 Indoor flat-track racing on cement, using Dr. Pepper soda syrup for traction. Home built and unusual street machines in 11 different classes race all-out to the enjoyment of thousands of flat-track fans. Moving to the BMO Harris Bradley Center was a necessity, as last year's event nearly maxed out the Panther's Arena. 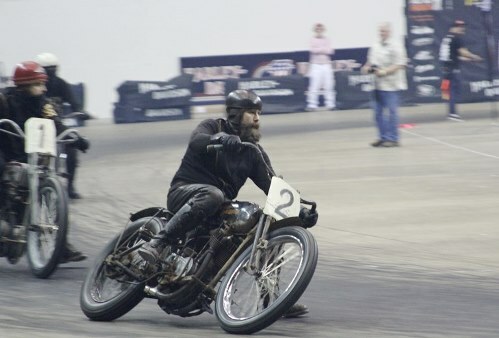 This year, another huge crowd is expected for this adrenaline packed competion of men and machines on the tight turns of an arena floor designed for basketball, not fossil-fueled combustion engines powering brakeless behemoths. Sat. & Sun. 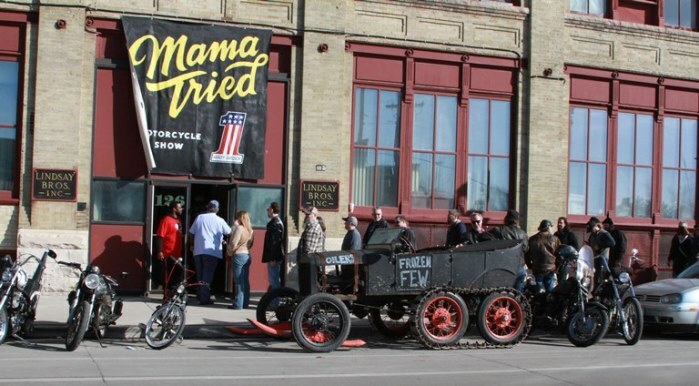 Feb. 18-19: Mama Tried Motorcycle Show, 126 S. 2nd Street, Milwaukee. 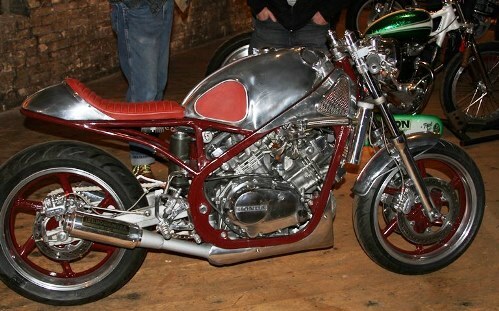 Situated in an old, three-story warehouse, some of the best the Midwest and beyond have to offer in the way of custom and vintage innovative motorcycle design. 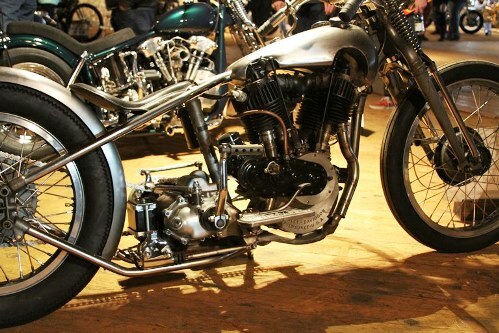 This invitation only custom motorcycle show is a must see for the custom and vintage fan of old and new iron (but mostly old). Sunday, Feb. 19: Slippery Sunday, McKinley Marina, 1750 North Lincoln Memorial Drive, Milwaukee. Right on Milwaukee's scenic lakefront, the McKinley Marina is home for this year's Slippery Sunday. AMA-sanctioned ice races, four- stroke brakeless, pro and open vintage class ice racing at its best. Dress warm, bring a camera and get in on the excitement of studded tires spraying ice chips into the air at every turn. With expected warm temperatures for this weekend, check with show officials at Mama Tried on Saturday to determine if the ice racing is still on the schedule. While at Flat Out Friday and Mama Tried, look for the Hupy and Abraham, S.C. booth for free swag and to visit with our lovely Street Team girls.